It’s so important. If we want to see substantive change that leads to greater justice, peace, and equity for our neighbors and ourselves, we have to cast better visions and enact them at all levels. 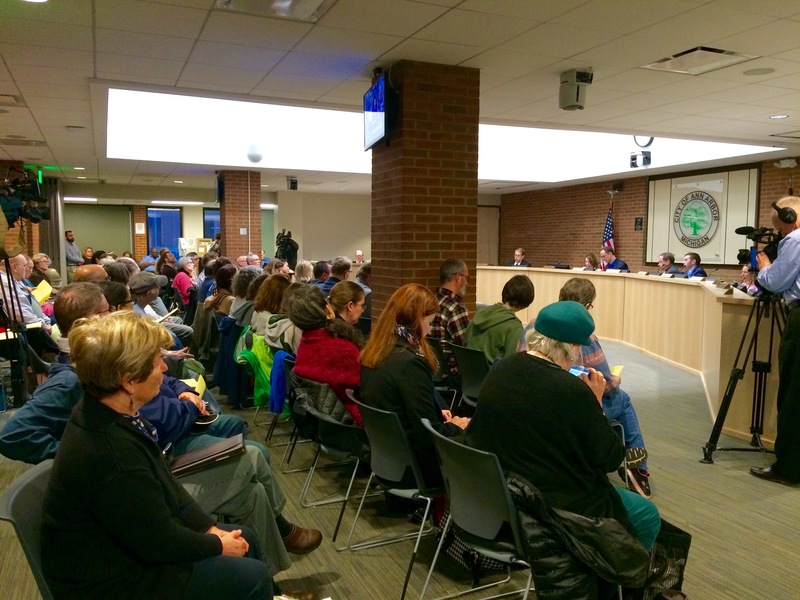 Last night, the Ann Arbor City Council held a public hearing and voted upon an ordinance to reaffirm and rearticulate its commitment that city government does not inquire of the immigration status of our neighbors. The ordinance lays out a couple of rare exceptions, but overall, this is the policy that the city promises to follow. The decision was made for a couple of reasons. Council Members are concerned for the 41,000 immigrants living in our county, and the ways their lives have been disrupted by recent shifts in rhetoric and policy. They also know that when police officers begin to partner formally with ICE, immigrants stop reporting crimes and testifying in court. This can lead to greater violence, abuse, and wage theft against immigrants, who are less likely to come forward. It also means their testimony is missing in areas of needed safety. No ordinance is perfect, and change is not always enacted best through government. But we have to go local in our vision. If we want to care for our neighbors and our environment, that’s one of the crucial places to make it happen. We can go local on social media too. When we share what is happening locally, we humanize national debates. We inform one another in ways that lead to better partnerships and alliances. We can be local storytellers. We can be local vision cultivators.